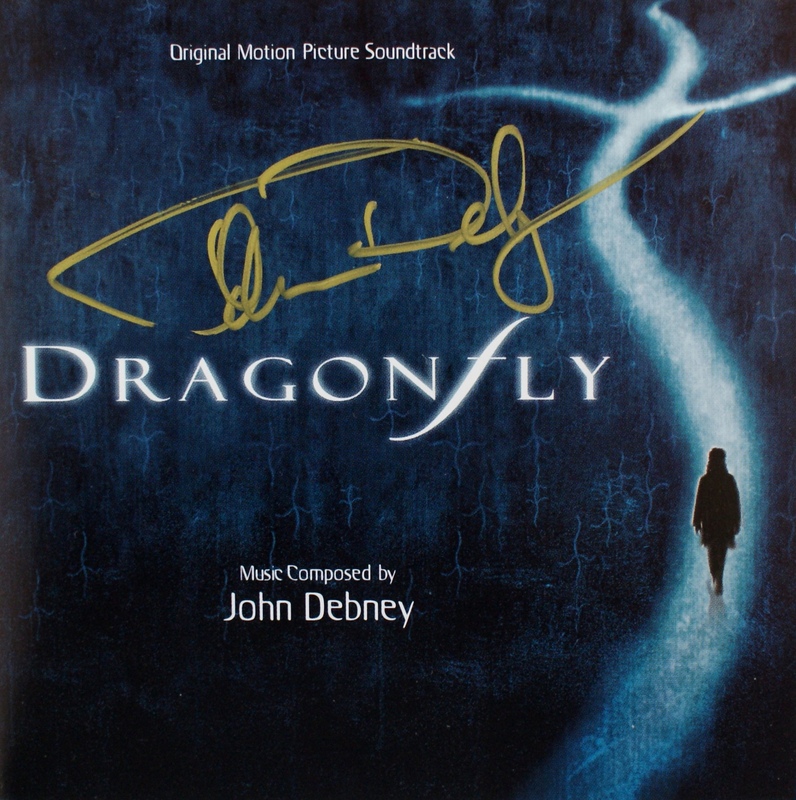 John Debney is certainly part of the younger generation of film composers having pursued a career in films for only a couple of decades. But he has served a full apprenticeship in television music gathering a wealth of experience in the process, working with composers such as Mike Post and Hoyt Curtain. Although his film career has been relatively short so far, he has staked out a place on several high profile film projects and is already beginning to appear as prolific and versatile as say Jerry Goldsmith. 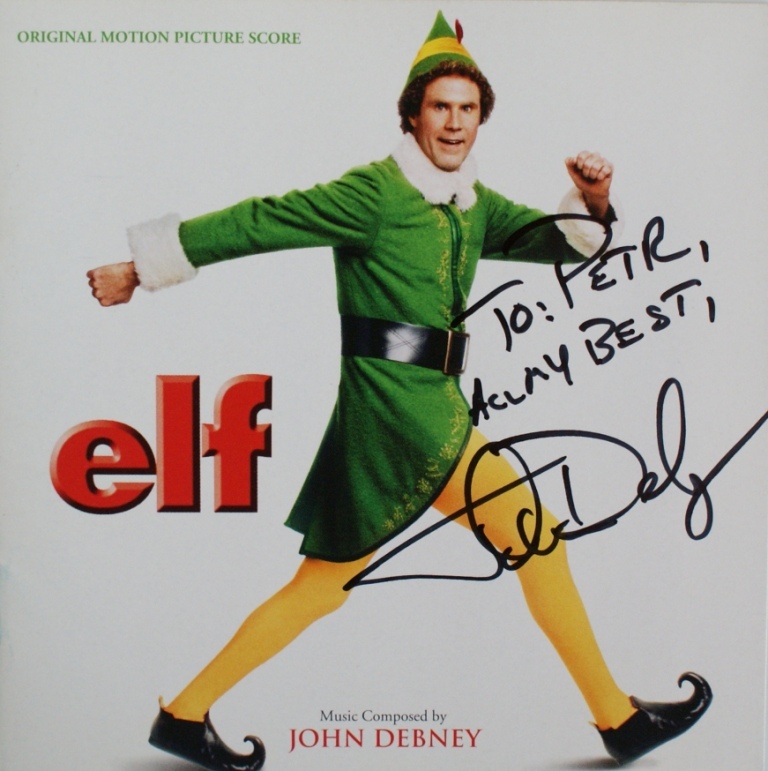 Much of his most recent work for cinema has been blockbuster family movies and comedies, including "Inspector Gadget", "Spy Kids", "Cats & Dogs", "Bruce Almighty" and the 2003 Christmas release "Elf". He has also produced some good TV work, including Seaquest DSV, the Doctor Who Movie starring Paul McGann, and (appropriately enough) Star Trek: The Next Generation. 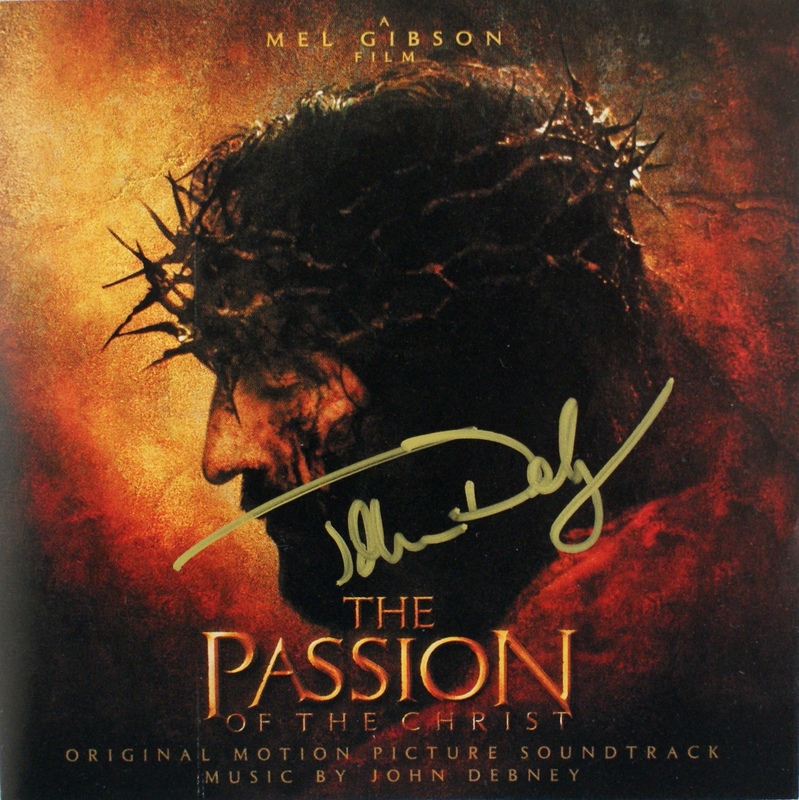 Between his film scoring, Debney finds time to conduct various orchestras, including the Royal Scottish National Orchestra, for recordings of film music. In 2004 Debney's challenge was quite surprising in some respects given his previous portfolio. 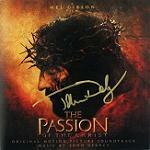 He was asked by Mel Gibson to score his controversial film The Passion of the Christ and rose to the challenge. 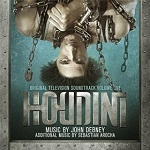 For this score Debney has used ethnic instruments including the "Oud" and "Duduk" plus a range of vocals. 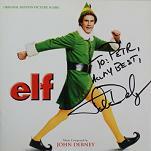 He has blended this in a contemporary way with percussion, synth sounds and effects. 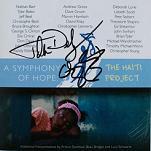 The emotional aspects of the film have certainly not been neglected, and the overall impression is moving and powerful. 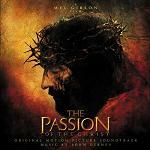 "The Passion of the Christ" soundtrack is available from www.amazon.com and www.amazon.co.uk, and there is a web-site dedicated to John Debney at www.johndebney.com. Debney adapted his music for this film into a Symphony which was given its premiere in Rome on 6th July 2005. Other performances are planned or have been held in other locations around the world. 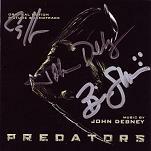 John Debney has had a busy year in 2010 with two major and eagerly anticipated sequels - "Iron Man 2" and "Predators". 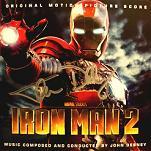 Both score albums are due for release this summer, with "Iron Man 2" expected to be a double album. Following years of rumours and speculation, it now transpires that director Robert Rodriguez will score "Sin City 2: A Dame to Kill For" himself. 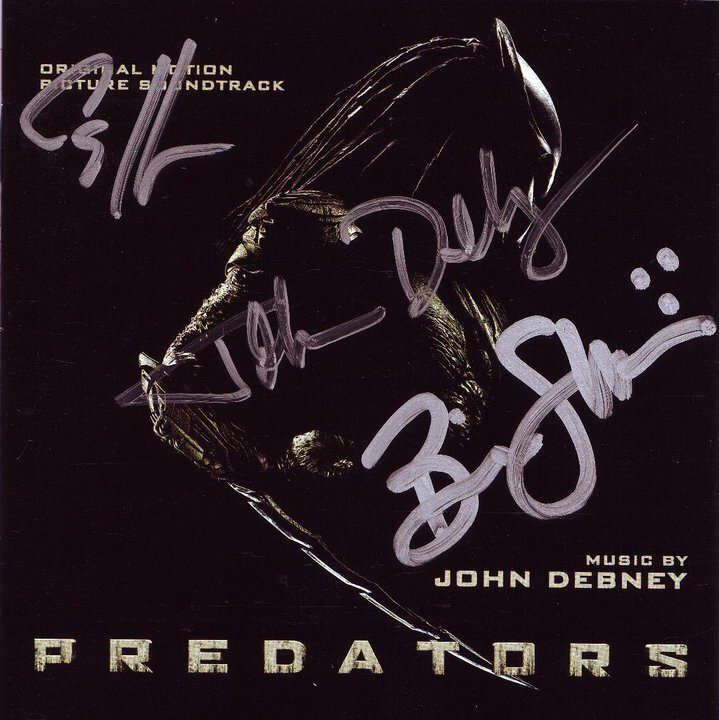 However John Debney remains a very busy composer, with films including "Jobs" (the biopic of Steve Jobs), "The SpongeBob Movie: Sponge Out of Water" and "Wolves and Dogs: Howls for Full Moon". 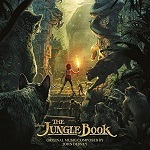 His latest film score on general release is the excellent mostly CGI but some live action version of The Jungle Book. 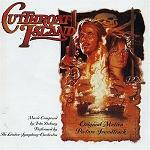 This is much better than you would anticipate for a re-imaging of a classic and is highly recommended, both score and movie. 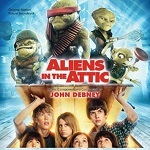 Zathura - also known as "Zathura: A Space Adventure"
Spider-Man 3 - additional music to this Christopher Young score, having previous done some some work on "Spider-Man 2"
Evan Almighty - follow-up rather than a sequel to "Bruce Almighty"
Aliens in the Attic - a fun scary movie like "Gremlins" with funny sound effects similar to Jerry Goldsmith and with Theremin-like sounds like "Mars Attacks"
Although Debney has worked in television on and off for many years with various TV series and one-off TV movies, he has lately scored a string of high-profile mini-series with the most recent being "Houdini". 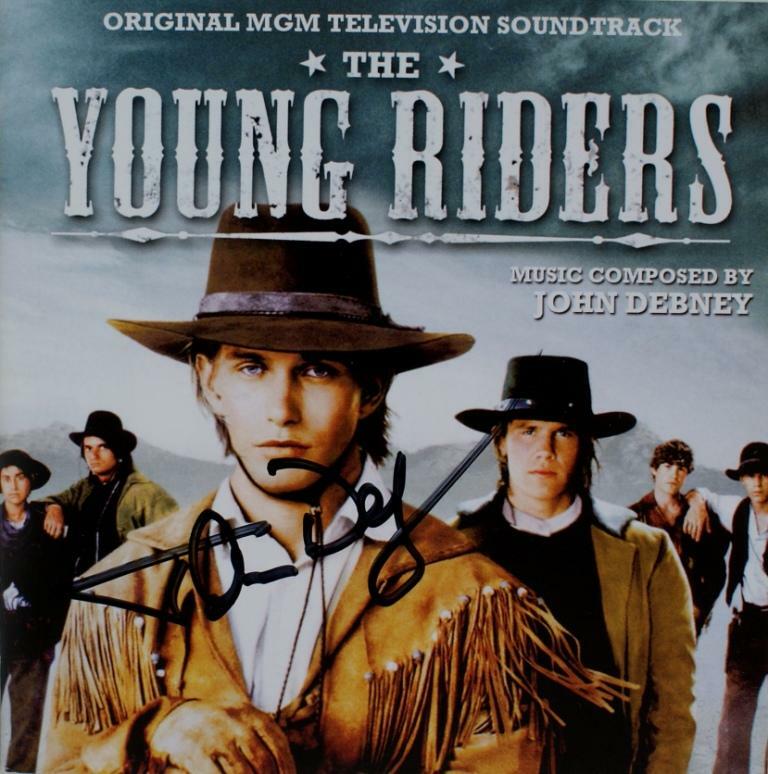 Here are some CD covers signed by John Debney. 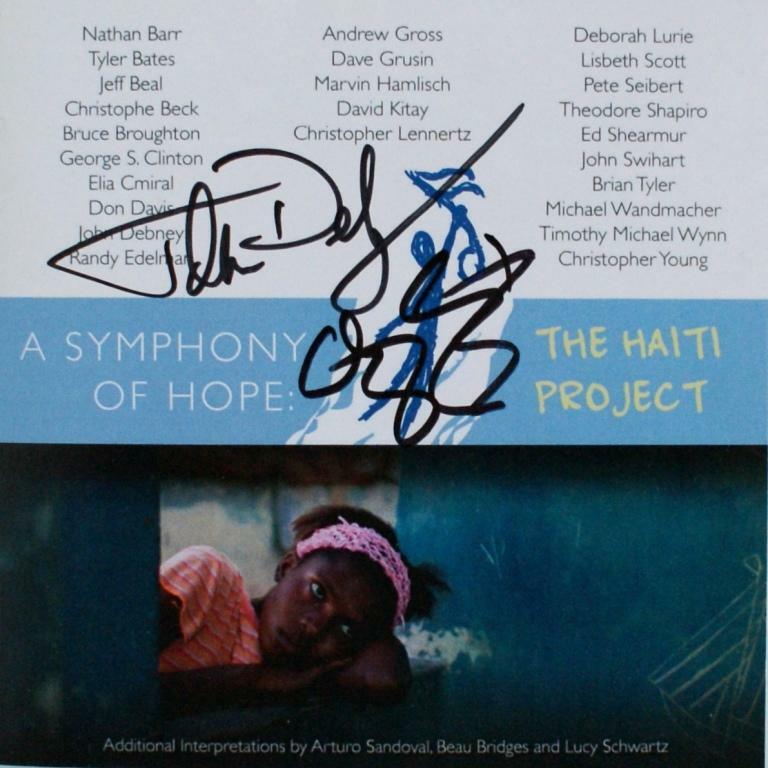 "A Symphony of Hope: The Haiti Project" CD has been signed by John Debney and Christopher Lennertz. 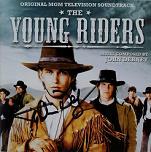 Our thanks to Petr Kocanda for permission to show his collection of autographed CDs. Click any thumbnail below to see the image full size in a separate window.